Born in London, UK, Dr. Yannopoulos received his M.D. from the University of Athens in Greece. He completed his medicine residency and general-cardiology fellowship at the University of Minnesota. 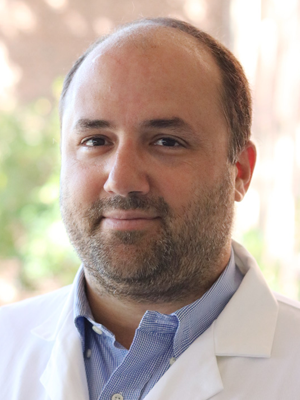 Following an interventional-cardiology fellowship at Johns Hopkins University in Baltimore, Maryland, Dr. Yannopoulos joined the University of Minnesota faculty in 2008. In March 2010, he became the research director for interventional cardiology. Dr. Yannopoulos is board-certified in internal medicine, cardiology, and interventional cardiology. His clinical interests include emergent cardiac care, coronary-artery disease, and congenital and peripheral intervention. Dr. Yannopoulos’s research involves cardiopulmonary resuscitation, hypothermia, and myocardial salvage during acute coronary syndromes. He is considered an authority in cardiorespiratory interactions and hypothermia during CPR. His work in the laboratories of Dr. Keith Lurie (at the University of Minnesota) and Dr. Henry Halperin (at Johns Hopkins University) has helped change current CPR practices. Dr. Yannopoulos is a member of the American Heart Association’s CPR guidelines-writing committee, and of the basic life support and research working-group subcommittees. He also serves on the organization committee for the AHA’s Resuscitation Science Symposium (ReSS), the largest international conference addressing CPR and emergent cardiac/trauma care. Dr. Yannopoulos is the recipient of two American Heart Association Young Investigator awards (2005 and 2008), and has received AHA and NIH grant support for his work in CPR devices designed to improve bloodflow and clinical outcomes.